Most of the siddurim by Chacham Ovadia Yosef זצ"ל say to stand at the khatzi kaddish of Shabbat Arvit right before Kryat Shema. I have heard that this minhag is from the Ben Ish Chai (I don't exactly know which place). Is this minhag followed by all sefardim all around the world? Also, where is the exact location of the minhag in the Ben Ish Chai and also which other poskim write about it? Sepharadim are lenient to sit for Kaddish in general. However, on Leil Shabbat the Mekubalim have a chumra to stand for Barechu and, by extension, Kaddish. The Ruach of Kedushat Shabbat is accepted with Barechu, so one should stand to accept it. Once one is already standing for Barechu, the Minhag developed to stand for Kaddish as well. If one is already standing (for instance, for Barechu), it is forbidden to sit down for the subsequent Kaddish. One may sit for Kaddish -- according to Sephardic practice -- only if one was already seated. This ruling is quoted in Siddur Ohd Yosef Hai p. 92, "Hanhagot beKaddish" article 3. The reason for standing during this particular Barechu was already adequately explained. The Mishna brura bring 2 opinions when one needs to stand. If Eglon King of Moav stood from his throne (who was not Jewish) when he Heard the name of Hashem, how much more so ourselves! Not the answer you're looking for? 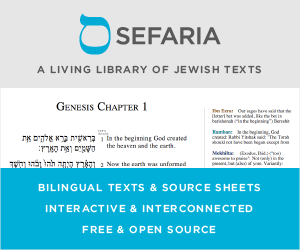 Browse other questions tagged sources-mekorot shabbat minhag sephardi-mizrachi-eastern kaddish .